And no that's not a wind-based pun. Of course not. If it were a wind-based pun you'd have said Fujin Blows. Yeh, its just a No for the reveal today. Not overall. 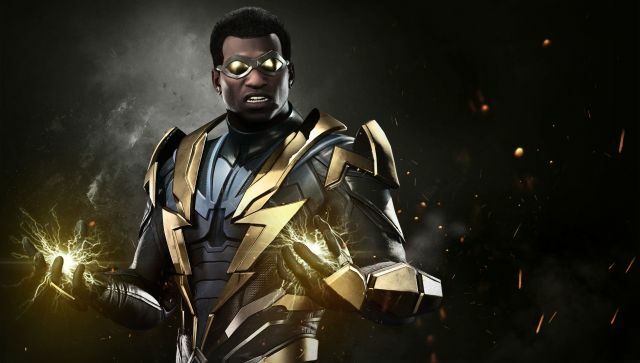 He received one of the highest character votes on all the MK11 character polls making him a huge fan favorite. 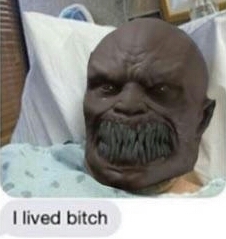 He will be in or DLC. And then the game came out and the roster was basically MK1 & 2 + Quan Chi, Shinnok & 8 New Characters. Hell, people INSISTED to me... ARGUED at me that Fujin WOULD be playable before MKX, because he had a new costume/design in the comic, so he MUST be playable, or why else the re-design!? Well, look how that turned out. DON'T GET ME WRONG... 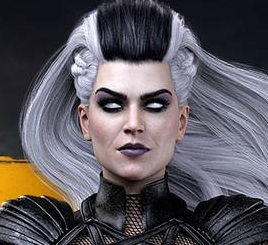 I'd LOVE IT if they took more risks with the roster in MK11 than they did in MKX... But I'm totally not counting any chickens until they hatch. 3d characters are most likely never to come back besides the two. N64 dont count. 3d plane characters. MK4 was also on Playstation & Dreamcast, and absolutely had a 3D plane. The arenas were round dude. Ed Boon is a massive troll. He would say no to a character just to screw with people. Hell, he'd wait until a week before launch just to reveal Fujin for the sake of screwing with people. It's what he does. The comic had the most to do with that debacle. Set up entirely the wrong expectations for the story they already had set in stone for the game. If only the comic had just stuck to origin stories for the new characters instead of giving Kittelsen free reign to extrapolate in whatever direction he wanted. That's probably a big reason why MK11 isn't getting a tie-in, and they didn't even continue on with the MKX run. Too much bad blood over false expectations. Fuu-jin better have Kung Lao as his apprentice or so help me God. Well Ed just rephrased his wordings from the Kast and now" tons of Klassic" will be in the main roster. I don't like Fujin, but he isn't your typical 3D character and he has actually been around before MK4. If u have Fujin, the u have to include Sareena... Her story is good. I wished they just killed off Fujin, and gave the wind-god status to KungLao, so the torture would stop for many. Dude, you're splitting hairs needlessly for the sake of perpetuating a nitpicky fight that doesn't ultimately matter. Yes, they all actually debuted in a 2D side-scrolling tertiary game, outside the main series. But they all debuted as characters in the MAIN SERIES OF FIGHTING GAMES in 3D Games. 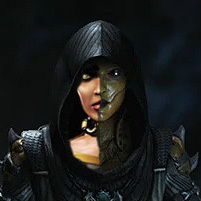 Even if you want to mince words about whether MK4 should or shouldn't be considered the same "era" as Deadly Alliance through Armageddon, Sareena debuted as a fighter on handheld in a port of Deadly Alliance, and on bigscreen consoles in Armageddon. 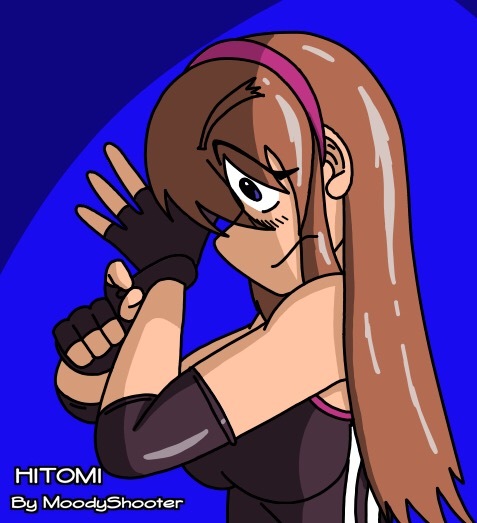 Her fighting game debut absolutely fell in "the 3D era" with or without the inclusion of MK4. MK4 absolutely counts as the start of the 3D era. It along with Mythologies was what laid the foundation of MKDA, Deception, and Armageddon. That game depicted how Quan Chi got stuck in the Netherrealm, which led to his eventual escape and his discovery of Onaga’s army, which led to his teaming up with Shang Tsung, and so on and so forth. The only reason I'd ever want to see Mavado return is strictly from a gameplay perspective. I've always thought his weird rubber band things would be great in a 2d game. I loved MK4, it's development was probably the most problematic but it's still one of the darkest ones. Gameplay wise it played decent enough. His chances became less again, Erron Black is PROBABLY in the game as well, his ERR was leaked. Rain has also a bigger chance again, as RAI was also found in those files, but they could be for Raiden, but if Raiden and Rain are both in the game, they probably name raiden: RDN or something like that. I wouldn't call it a deconfirmation, but given that 90% of the 3D era fighters always get the short end of the stick I think his chances are slim. You shouldn't see it as 2D vs. 3D era, more pre Trilogy and post. Trilogy and UMK3 just put all characters together so there's definitely a break between Trilogy and post, but also there's a clear break after MK4 with Tobias leaving.